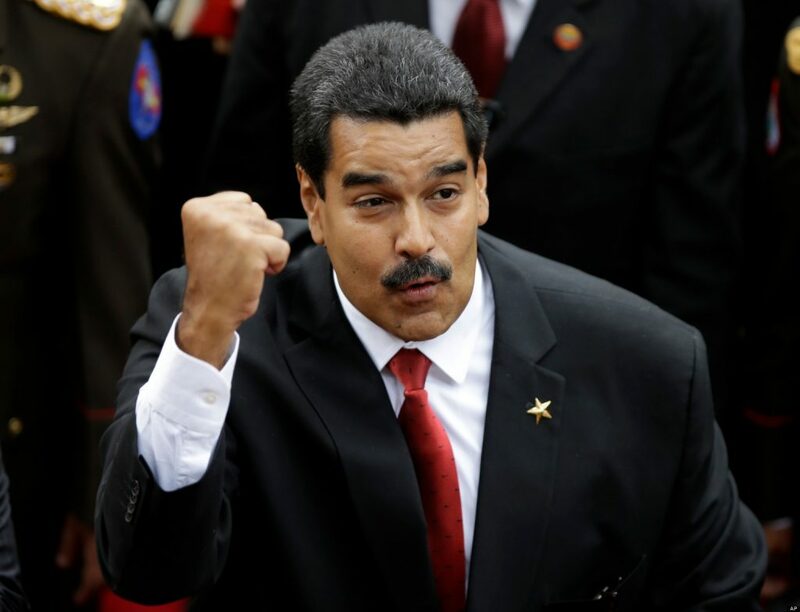 The pronouncement was issued by the Constitutional Chamber in its judgment number 274, in which it responded to an interpretation recourse of the article 340 of the Constitution, which regulates the amendment figure, which Johnny Jiménez brought on 15 March 2016. 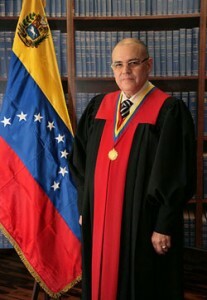 However, he then stated: “As to the validity in time of an amendment, it cannot have retroactive effects or be of immediate application; to admit such an assumption would constitute an unquestionable breach of the exercise of the sovereignty provided for in the article 5 of the Constitution, since it would be denying the will of the people, manifested either through the results of a voting process, in which certain person is elected to occupy a popular election position (President of the Republic, Governors or Mayors) for a specific period (…) or of the selection made by the National Assembly of the members of the rest of the Public Powers (Justices of the Supreme Tribunal of Justice, Rectors of the National Electoral Council, Ombudsman, Comptroller General of the Republic and Attorney General of the Republic), for the period established by the Constitution, which in either case remains unalterable in the face of any subsequent modification thereof, and which would only apply to future electoral or selection processes, as the case may be”. With this ruling, the Chamber contradicted its jurisprudence, according to which it can only speak out in relation to laws and not draft bills. “The preparatory measures (…) cannot be challenged in an isolated or independent manner, and if they were they would be as long as they exceeded the purpose for which they were arranged, either because they replace the final decision, because they put an end to the procedure or because they cause defenselessness”. “On the other hand, definitive acts, or a significant group of them (containing a declaration of will), would be open to challenge before the jurisdictional bodies”, it ruled repeatedly in 2007 by rejecting the dozens of actions against the constitutional reform project that the late Hugo Chávez presented to the National Assembly. Amendment number 2 to the Constitution has only been approved in the first discussion, so it is not yet valid. It plans to reduce the presidential term from six to four years and eliminate permanent reelection for all positions of popular election. as to the validity in time of an amendment, it cannot have retroactive effects or be of immediate application; to admit such an assumption would constitute an unquestionable breach of the exercise of the sovereignty provided for in the article 5 of the Constitution, since it would be denying the will of the people, manifested either through the results of a voting process, in which certain person is elected to occupy a popular election position (President of the Republic, Governors or Mayors) for a specific period (…) or of the selection made by the National Assembly of the members of the rest of the Public Powers (Justices of the Supreme Tribunal of Justice, Rectors of the National Electoral Council, Ombudsman, Comptroller General of the Republic and Attorney General of the Republic), for the period established by the Constitution, which in either case remains unalterable in the face of any subsequent modification thereof, and which would only apply to future electoral or selection processes, as the case may be. (…) And is that retroactivity is “a principle of law according to which no legal rule can extend its effects to situations that occurred before its implementation.” (…) It is to be noted, consequently, that in the light of this provision and of the aforementioned doctrine, it would be in the presence of an unconstitutional retroactivity, if the new norm were to be applied to fait accompli “facta praeterita”, or even, to ongoing situations (such as the mandates of the Public Powers’ bodies), known as “facta pendentia”. (…) Taking into account the reasons given above, this Constitutional Chamber concludes that trying to use the figure of the constitutional amendment in order to immediately shorten the exercise of a popular election position, such as the President of the Republic, clearly constitutes a fraud to the Constitution, which provides an effective political mechanism for such purposes, such as the exercise of the recall referendum in conformity with article 72 of the Constitution.”. 1 month and 6 days.